Last year, the United States national soccer team began wearing red, white, and (mostly) black uniforms during away games. Sure, they look attractive. But the black kits make it easy to forget you’re watching the U.S. national team, as opposed to some unidentified club team. To be fair, other national selections, such as The Netherlands, wear unpatriotic unflag-ly colors while playing soccer. But I don’t have to like it. Hopefully U.S. soccer returns to red, white, and blue for next year’s World Cup. 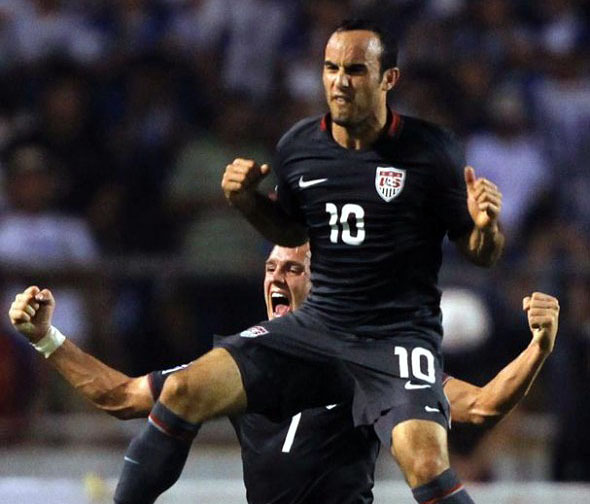 Previous ArticleWhat’s the biggest USA soccer upset?